The One who created you knows you by name. He draws near to the broken-hearted. He will gather you in His arms. He will hold you close. He will be with you always. • Comfort for your sadness. • Peace for your fears. • Light for the journey. • And joy through every season. Dancing in the Rain is a collection of poems, stories and life-giving words designed to bring you comfort and hope during life’s stormy seasons. Anusha delights in many things – life, the love of Jesus, people, the beauty of God’s Creation. She writes mostly for pleasure. She has decided never to grow old in spite of a body that is already defying her intentions! She enjoys the finer things of life including friendship and chocolate! 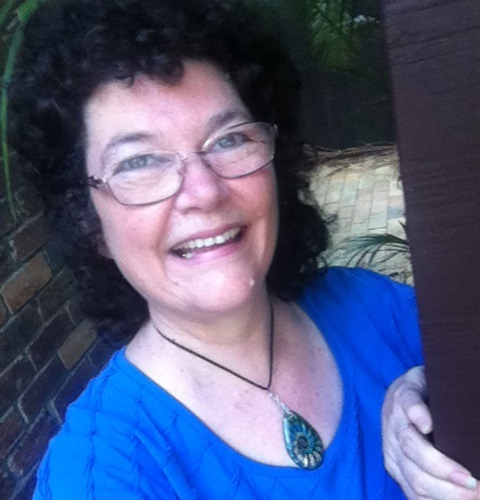 Singing, walking, connecting with people and sharing God’s love are her some of her deepest passions. Like her writing, she is a work in progress! Anusha lives in Adelaide with her husband Shan and their son, Asela. 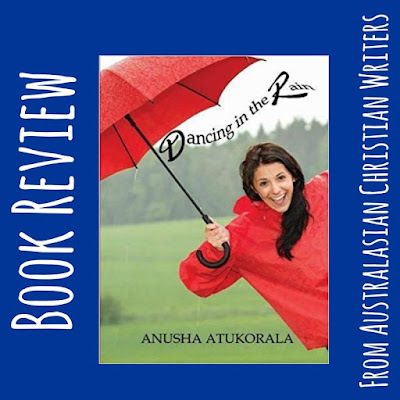 I've been looking forward to reading Anusha's Dancing in the Rain as I'd enjoyed her story in Glimpses of Light and have also been encouraged and inspired by her regular blog of the same name. The book has a eye-catching cover that entices me to pick it up and read. Inside, it has an interesting structure, broken up into sections such as Oh No! It's Raining; I need an Umbrella; It's OK to grieve; A Rainbow called HOPE; Splashing Through the Puddles; Laughter the Best Medicine; Tall Stories about Rainy Days; Sailing Paper Boats; How Green is my Valley; And Best of All - the progression seeming to follow, at least in part, the progression of emotional journey through difficult times. Each section is filled with reflections from the author (divided into Part 1 and Part 2), Friends' Stories (told in first person), Nuggets (quotes, epigrams, Scripture), My story (from the Anusha's experiences), a poem and a serialised story 'Each Monday'. It's an interesting mix, with different perspectives and approaches to our feelings, responses and options when facing difficulties and discouragement. The personal stories (both from Anusha and her friends) give testimony to depth of feeling, faith, and God in action in each one's lives. The reflections, nuggets and poems give both comfort, commiseration, as well as inspiration and hope in God's loving presence, spiritual meditations and practical ideas to gain a different perspective on the rain-soaked times, how to survive and even thrive. I think my favourite section is the Each Monday story, as I waited for the next instalment of the narrator's journey. Overall, it's an easy to read, a part devotional, part inspirational gem that brims with Anusha's gentle and vibrant faith. Worth reading and also an excellent gift for those going through hard times.